Many people believe that the Tax system only exists to take peoples hard earn money. Although some portions of the tax code are about collecting taxes, believe it or not, an ever larger portion is actually geared towards providing tax breaks. 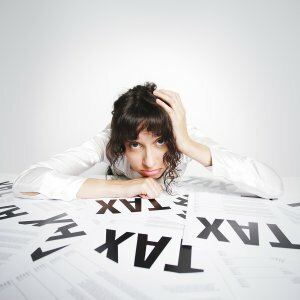 There are many tax strategies you can use to potentially eliminate paying any taxes while building a massive net worth. You should be able to apply at least a few of these immediately to help with your current situation. We are neither accountants nor do we not give financial advise. It’s always recommend to speak with your financial advisers to determine which tax strategies work best for you! Here at Simple Acquisitions we partner with private lenders to acquire real estate for a equity share. We believe in sharing ALL the benefits that we get real estate, and not just a fixed return. We work hard to implement as many tax strategies as possible to lower our taxes which helps us all build wealth faster. Did you know that different types of income are more beneficial from a tax perspective? Do you know what you can do to lower your taxes? Learn some great tax strategies in our video series. Sign up for our informative Tax Strategies Video Series. Why put more money in Uncle Sam’s pockets than necessary! Subscription to the Tax Strategies campaign. Remember, real estate doesn’t have to be complicated. With Simple Acquisitions, it’s smart and simple!